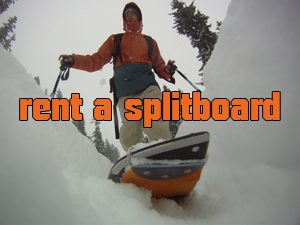 Want to rent a splitboard in or around the Arlberg? After an internship in Alaska with H2O guides and lots of shooting and competitions. I decided to put my focus on guiding. Last winter 2011 I finished my Austrian Snowboard guiding course (Snowboard Führer). So I can grow a mustache and show people what it is all about ;). I am not a conventional guide that shows the typical places where everybody can go down symmetrical in a row. My style of guiding is about giving your own input and stimulating a learning process. It is about forecasting avalanches, awareness, fun and most of all safety. Copyright Bas Elhorst | Official Site . All Rights Reserved.